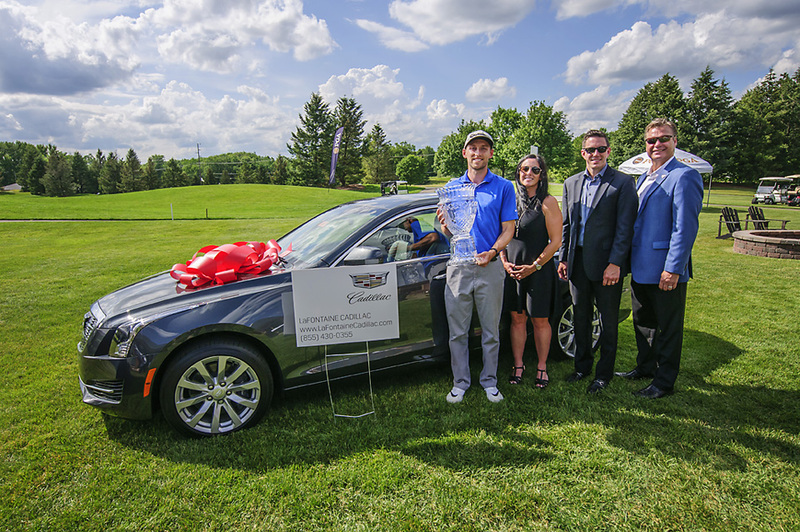 The 100th anniversary of the Michigan Open, presented by LaFontaine Cadillac, was held at Prestwick Village Golf Course earlier this month. Despite the extreme heat and humidity, Matt Thompson, was able to make five birdies on the back nine to pull away from the field and win the championship. The six-shot win powered by a 6-under 66 for a 16-under 272 total earned the Battle Creek native and former University of Michigan golfer $8,500 and a two-year lease on a new Cadillac. Congratulations to Matt Thompson, champion of the 100th Michigan Open, sponsored by LaFontaine Cadillac. Photographed left to right: Matt Thompson, Kelley LaFontaine, Michael Walls, Robert Simmons. The tournament’s kick-off, a LaFontaine Cadillac Customer Appreciation Tournament, took place the Friday before. 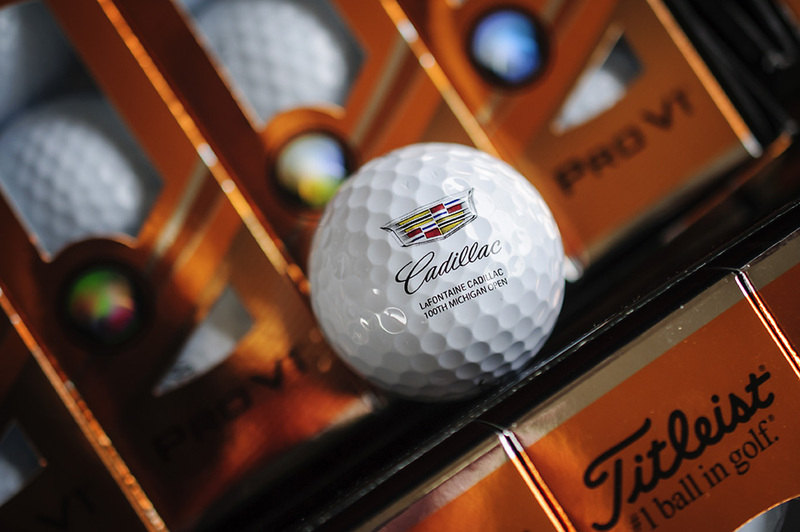 Attendees were encouraged to test drive a Cadillac of their choice before a decedent lunch, put on by Prestwick Village, and the Pro-Am tournament. LaFontaine Cadillac professionals at the ride and drive event, prior to the Customer Appreciation Golf Tournament. 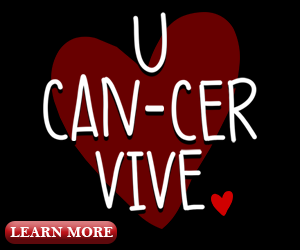 Photographed left to right: Carol Peters, Bob Anderson, Kim Harbough, Joseph Vulaj, Liz Schumaker, Viktor Vulaj, Kelsey Way, and Michael Walls. 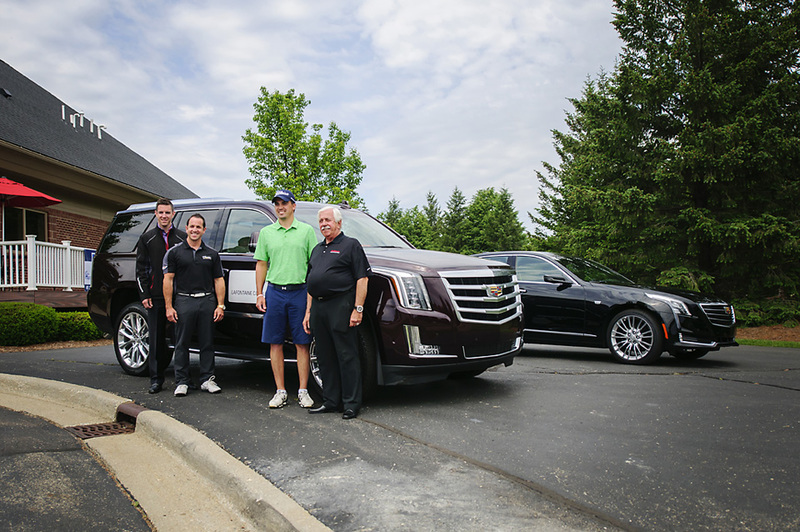 Golfers left with a great game in their books and swag from LaFontaine Cadillac of Highland, MI. Champion of the 2016 tournament attended the Customer Appreciation event, giving Pro-Am training and advice. Michael Walls, Ryan LaFontaine and Michael LaFontaine Sr. photographed with 2016 Champion, Jeff Bronkema.